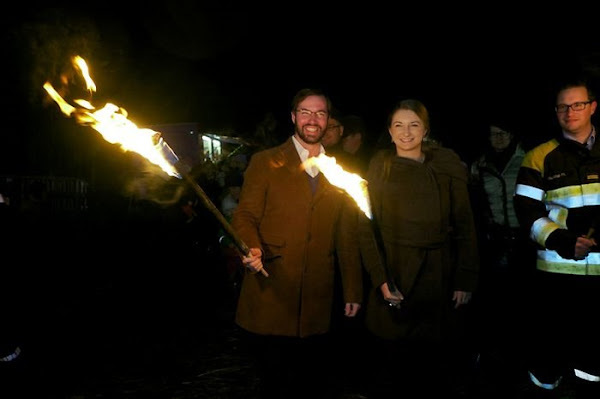 Hereditary Grand Duke Guillaume and Hereditary Grand Duchess Stéphanie of Luxembourg participated in the annual traditional ceremony of Buergbrennen; derived from Pagan tradition, the event marks the end of winter. 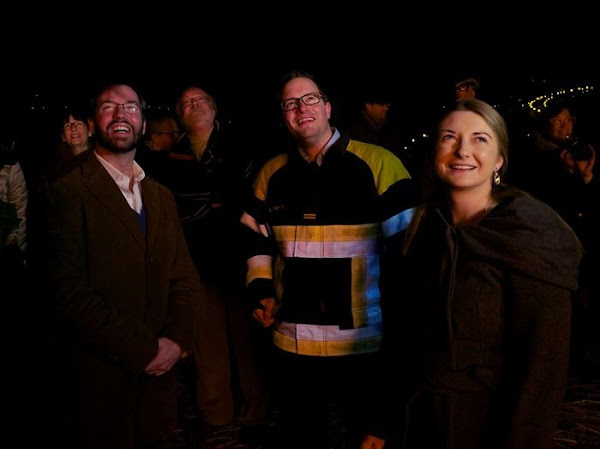 ( Every year, on the first Sunday of Lent, the inhabitants of Luxembourg celebrate the famous 'Buergsonndeg' (Sunday of firebrands). 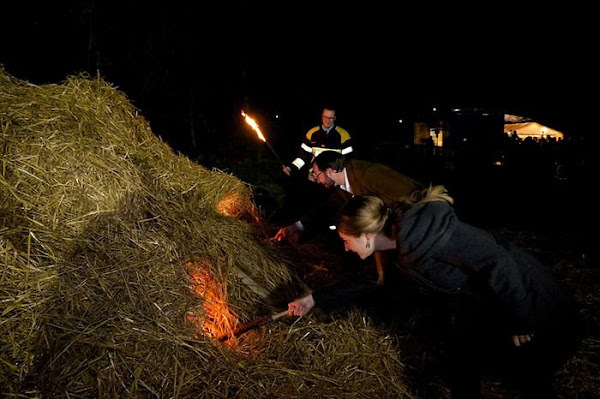 At nightfall, wooden crosses are lit on village heights throughout the country in order to symbolically chase away the winter and welcome spring time. This tradition of pagan origin was already practiced in ancient Roman times. 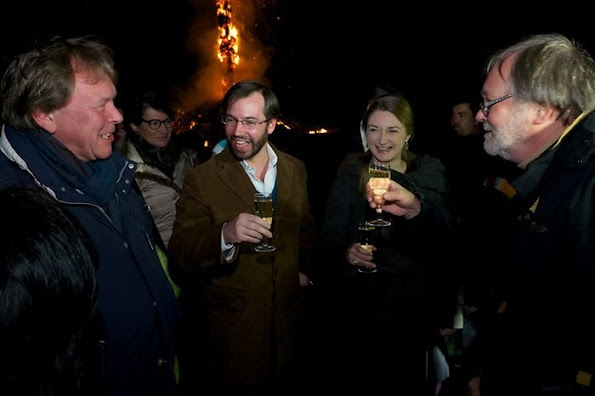 The blaze symbolises the rebirth of spring and the end of winter, the triumph of warmth over the cold, of light over darkness). She's drinking alcohol, no pregnancy. Vous voyez quelque chose sur les photos ? Et n'oubliez pas que nous sommes en février et qu' il gèle au Luxembourg . Maybe she is dressed old, maybe, but she does not look old - she is beautiful. They are a perfect couple, I think the very best of all- my favourite, yes. They are not looking for the paparazzi or perform or something, they are just doing what is needed. Lovely, lovely, lovely. Sorry, she is not beautiful (really, very few ladies deserve the description "beautiful", Grace Kelly and the young queen of Bhutan come to my mind) and yes - she looks old, internally old. 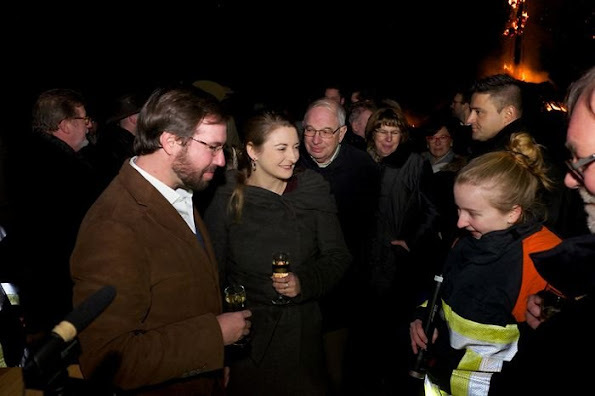 And regarding the perfect couple: Did you watch the documentary about the Luxembourg Grand Ducal family a few days ago? There's much much more romantic chemistry between Guillaumes parents (after 35 years of marriage) and between Félix and Claire. To me, Guillaume and Stephanie are more like brother and sister than like a young married couple. Guillaume and Stéphanie, they are wonderful! Agree, they are wonderful and they are mature. You can see, they know each other and love each other, this is rarely. It is rarely to love each other? If a couple don't love each other the marriage would not hold, and special if it's a public couple like all the royals. And by the way we see more love between other royal lovey dovey then these two, and I don't suspect these two for not loving each other. How often have we seen them kissing, hugging, touching or holding hand since they were married? True love is in the ...eyes....it is not hugging, holding hands....all the time or when the paparazi are in............real love begins, where nothing is expected in return......love does not need to be perfect, it just need to be true.